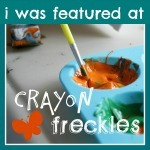 Ava loved this! 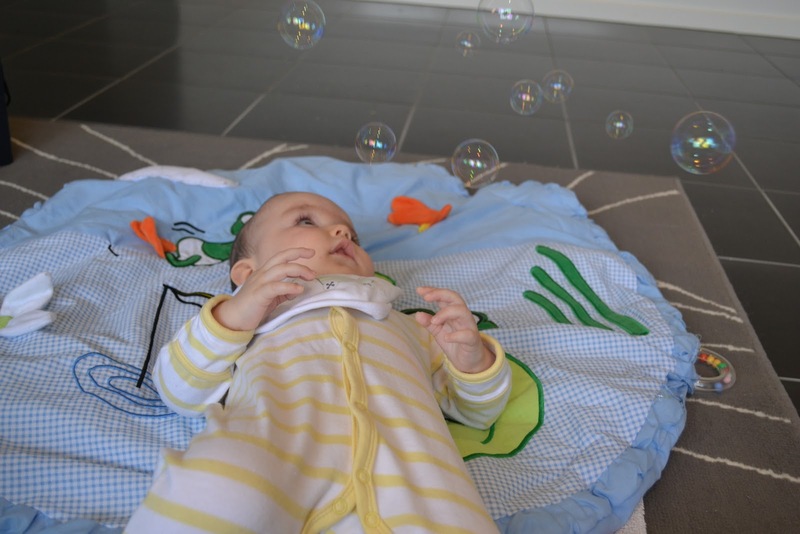 I found it difficult to think of a bubbles activity as per this week's Play Time Challenge. It's very basic, because she's not even six months old yet; I lay her on a playmat and blew bubbles to her left and right and above her, and she tracked them visually, flicking her head from side to side to try to see them all. She was even swatting at the ones that got close enough. A few times, the bubbles weren't coming out when I blew, and she started grumbling at me, as if to hurry me up! Will definitely be doing this again.